Our mission at ExecuDome is to assist individuals to develop into extraordinary managers and leaders who can maximize the enormous human potential available to today's organizations. We provide one-on-one performance coaching and training which brings higher return on your people investment increasing your ROI — “Return on the Individual.” New skills and behaviors are not only learned, they are practiced and applicable immediately for real company advantage. 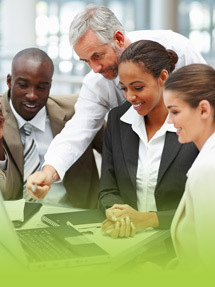 Turn business and technical stars into highly effective people managers. Develop a practical leadership strategy that gets you to your organizational goals faster and with less stress. Increase your ability as a leader to reduce internal conflict, to improve accountability and to boost employee ownership for results. Build critical capabilities of key employees to succeed in times of rapid change, increasing responsibility and shrinking resources. Grow and develop key talent to prepare them for increased contribution to the organization. 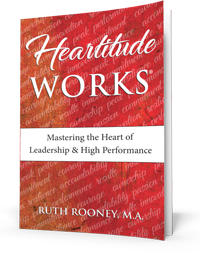 Founder and principal Ruth Rooney has been recognized as a skilled executive coach and business partner to senior leaders and their teams. With over 20 years experience and a Master's Degree in Management, she brings the expertise and energy necessary to build performance systems with highly successful bottom line results. In collaboration with a virtual network of leading edge consultants, we offer our clients the very best in coaching and training solutions.